Yes folks it’s time for the Folklore Society’s annual legendary weekend. This year the venue is my stomping ground, the Derbyshire Peak District and the theme is Underground in Legend and Tradition. The two day conference will be held on Saturday/Sunday 1/2 September 2012 at Matlock Bath, home of the Peak District Mining Museum. 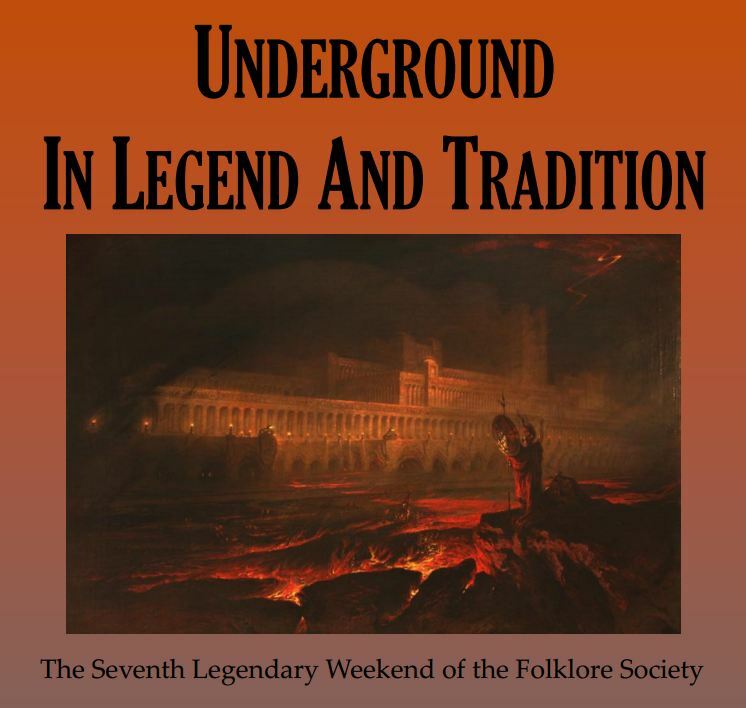 The underground folklore theme is reflected in the speakers’ topics which include ‘the folklore of mining in Derbyshire’ (Dr Jim Rieuwerts), ‘Volcano and fire goddesses in Polynesian myth’ (Bob Pegg), ‘Caves in art’ (Gail Nina Anderson) and the Green Children of Woolpit (John Clark). My talk on the Saturday will focus on the legends about mysterious subterranean tunnels that supposedly run between ancient buildings in Sheffield city centre. Tradition says the tunnels were built in the 16th century to allow Mary Queen of Scots, who was imprisoned at Sheffield Manor, to move secretly between her gaol and Sheffield Castle. I will discuss the attempts that have been made to discover these entrances to these legendary tunnels, the sightings of ghosts said to haunt them and links to other areas of personal experience and folklore. This entry was posted in Uncategorized and tagged curses, Derbyshire, follklore, ghosts and legends, Jeremy Harte, legendary weekends, Magpie Mine, Mary Queen of Scots, Matlock Bath, Peak District, Peak District Mining Museum, Sheffield Castle, Sheffield Manor, Sheldon, subterranean passages, supernatural peak district, traditions, underground tunnels. Bookmark the permalink. The toxic cloud which drifted into the Beachy Head area was nothing more than the consequence of a submarine which had surfaced in the Channel either to recharge batteries or probably with a battery malfunction. Probably the latter, since the Channel is too confined for a recharge. The emission was from the malfunctioning battery. The MoD would not conventionally comment on an event of this nature, irrespective of the nationality of the craft.